A free family day with creative activities for toddlers to 10 year olds (and their grown ups) - on the 2nd Saturday of every month. 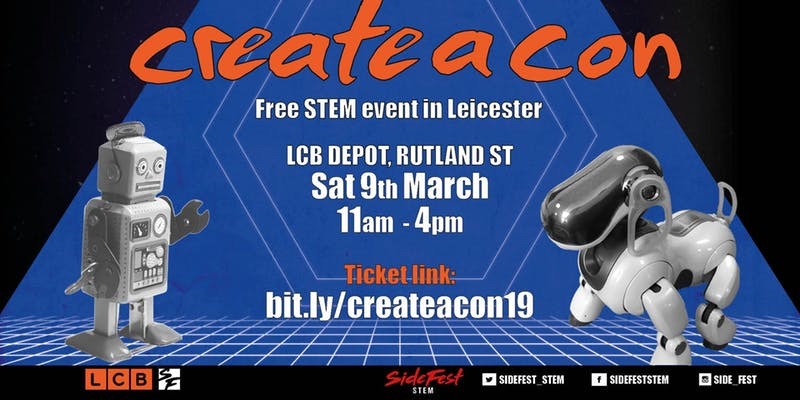 Part of CQ Earlies - creative activities for families and children at venues in in Leicester's Cultural Quarter on the second Saturday each month : LCB Depot, Leicester Print Workshop, 2 Queens, Phoenix. Join us to explore printmaking inspired by the city! Design your own styrofoam plate and have a go at printing it. Free, no booking required. Best for ages 4+, please wear clothes you don't mind getting messy. Children must be accompanied by an adult at all times. Make your own robot out of card and bring it to life to race against other homemade robots in our Racing Robots workshop. Assemble and decorate your bots using the materials provided then add a ‘fizzbit’ – a small module containing a motor – to make your robot move. This is a free drop-in workshop, no need to book. Best for ages 3-9, children must be accompanied by an adult at all times. Look out for rickshaw rides between the CQ Earlies venues on the day!